Microsoft quietly changed the rules for Windows Phone hardware built by its partner OEMs in late September, we have learned, and a key feature has been moved to the ‘optional’ column. For a yet unknown reason, and we do have a request for comment in with the company, Microsoft has designated both the front, and rear cameras in Windows Phone handsets to be no longer required. This means that Windows Phone handsets can now be shipped with no camera whatsoever. This is quite interesting. For its entire first generation, Windows Phone hardware toed the official minimum lines set down by Redmond, which we called critical, as it meant that while early WP7 devices were boring, they were capable. In other words, by having the floor set on what the hardware had to be, Microsoft managed to field functional phones all over the world. It’s without question that lesser hardware would have been sold if Microsoft’s requirements had been lower. Primarily, with the coming Tango update, Microsoft needed to allow OEMs to ship lesser phones for new, and more developing, markets. Nokia wants to ship cheaper handsets, and required the flexibility. And finally, no major smartphone OEM is going to, now, sell a handset with a touchscreen in a developed market sans camera, so the rules could be relaxed without risk. It’s a fascinating dynamic to tease out, as it says volumes about the current smartphone ecosystem. 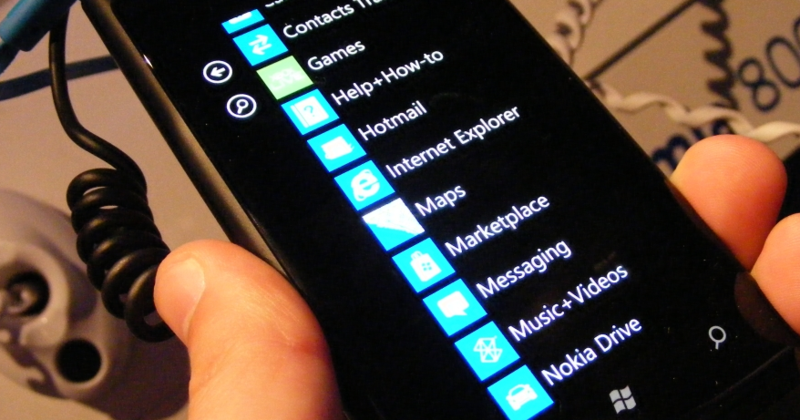 In other Windows Phone news, our own @ThatDrew has some words on the topic that are worth repeating: “Mobile operating systems have a big three too. It’s Apple, Google, and Microsoft. Yes, Microsoft.” That’s controversial, but more true by the day. Long live the smartphone wars.